Confidence is an attribute that is powerfully transformative – and one which many of us lack. Having confidence in yourself is a process of learning where you take the time to reflect on who you truly are and take actions in your life that support your core self and highest potential. Real confidence (as opposed to being overly humble or falling the other way into arrogance) comes from a deep knowledge of and acceptance of yourself and your abilities. When working with metaphysical energy and integrating the divine into your daily life, confidence is key as you learn to navigate your psyche as well as the mystical natural world around you. When it comes to practical aspects of your life, a confidence spell can help you when you are about to have an important job interview or are finding the courage to try new activities. Confidence in who you are is deeply related to self-knowledge and self-acceptance. This means being able to know where your strengths are as well as your weaknesses and be aware of these aspects of your life within a framework of self-compassion. You can, therefore, use confidence spells for a ‘boost’ when you have a difficult task, or as part of your holistic process of self-love. Working with confidence-boosting crystals can be of immense help when accessing your inner reserves of strength. 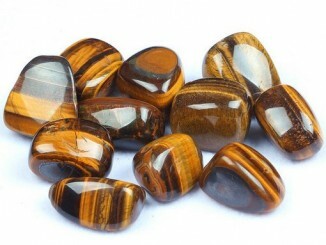 In this section, you will find a confidence spell that uses Tigers Eye – one of the most dynamic and confidence boosting of all the crystals. You will also find a self-love spell to help you in your journey of deep confidence and love of yourself.